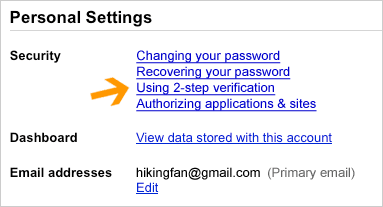 2-step verification, Advanced sign-in security for your Google account ! Most of us are used to entrusting our information to a password, but we know that some of you are looking for something stronger. As we announced to our Google Apps customers a few months ago, we've developed an advanced opt-in security feature called 2-step verificationthat makes your Google Account significantly more secure by helping to verify that you're the real owner of your account. Now it's time to offer the same advanced protection to all of our users.